Advanced Night Repair, a serum by Estée Lauder that is known by a lot of women. 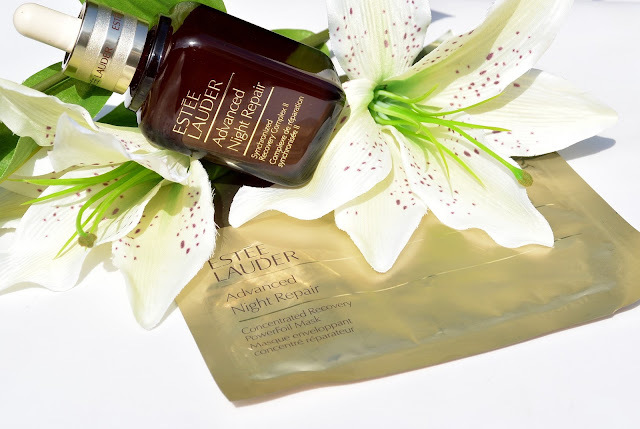 A serum that is a musthave in you beauty routine and a brand new PowerFoil mask to apply once a week. Let's read all about these products. First of all, there was the Advanced Night Repair Synchronized Recovery Complex II, or shortly: the serum. 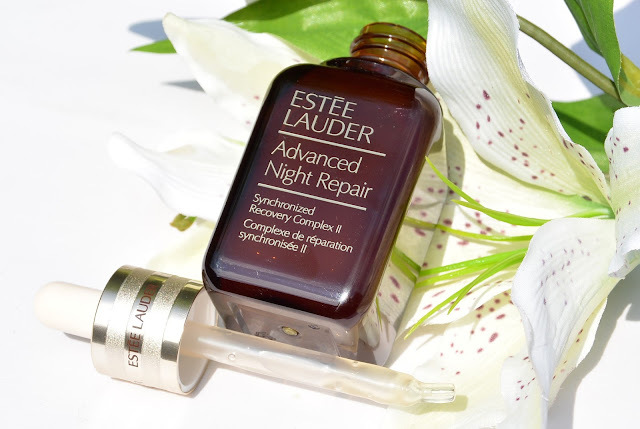 The Advanced Night Repair serum, is a serum that works on lines, wrinkles and all other signs that are known as 'visible aging'. 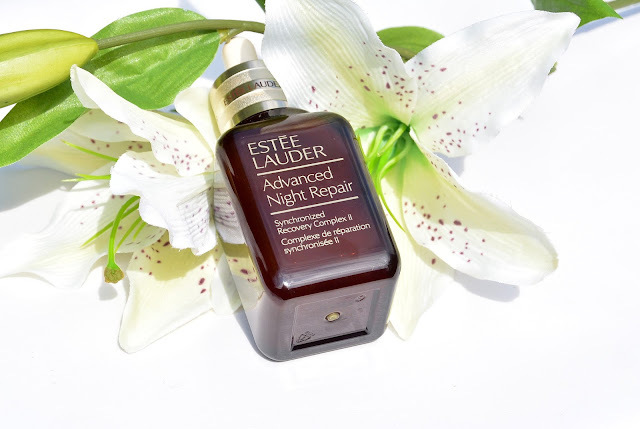 The serum is called Advanced Night Repair, because it is best when you use it before you go to bed. This serum stimulates the process off cell renewal (which happens mostly at night) and works deep into the layers of your skin. The serum goves you a younger, smoother and more vivid skin tht is super hydrated. I used this serum myself, and I noticed that small scars healed better when I was using this serum. 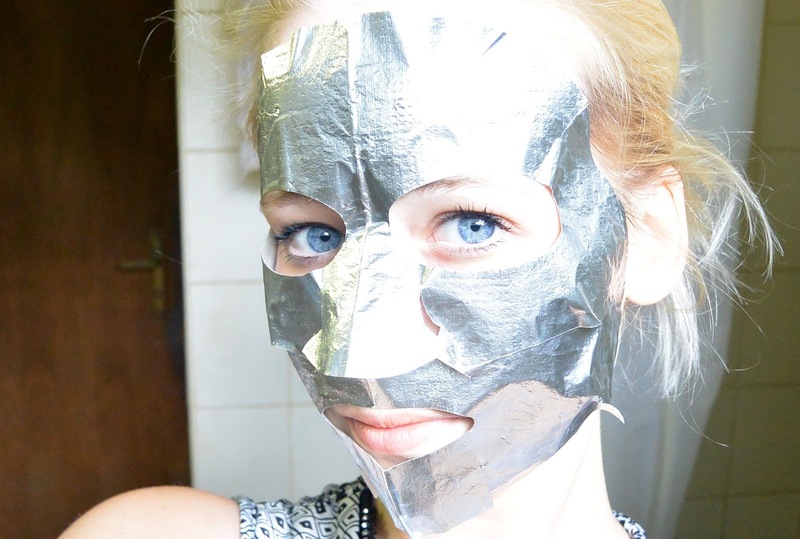 And now there is an Advanced Night Repair Concentrated Recovery PowerFoil Mask. This serum is called PowerFoil because in one sheet like this one, because it is a really powerfull mask. This PowerFoil mask is a sheet mask on the inside and a an 'aliminium-like' maks on the outside. The 'aluminium-like' part of this mask is made specially to prevent that the serum would oxidate in the air. Now it will go directly in our skin. 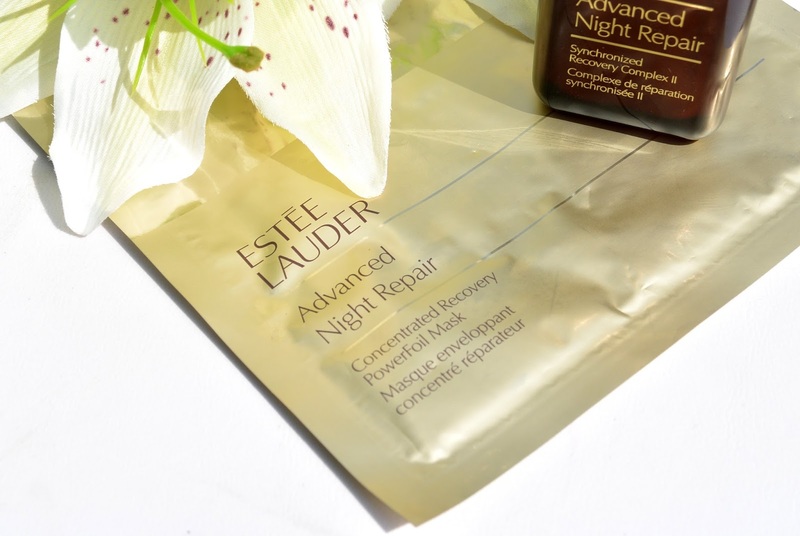 In one mask, there is 25 ml of Advanced Night Repair serum, or half a bottle of the 'normal' serum. 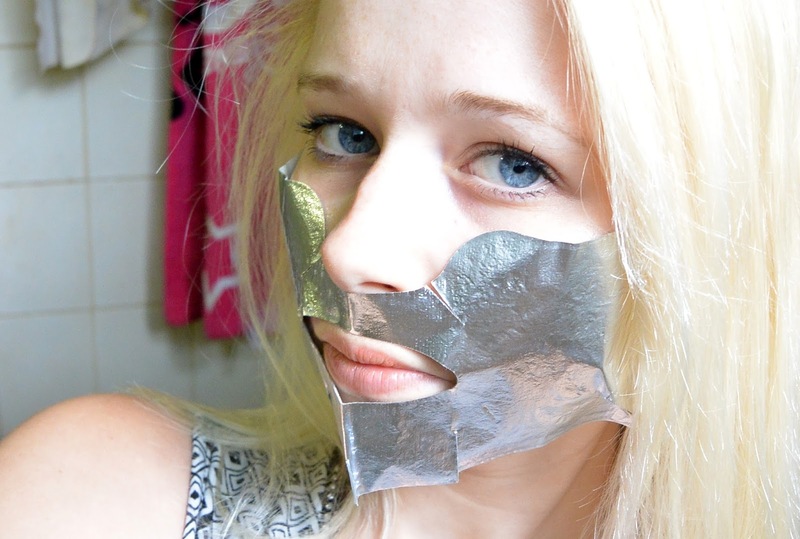 The PowerFoil mask is made out of 2 parts. As you can see on the picture you first need to apply the bottom part and afterwards the part that covers your forehead. Best resulst are guaranteed when you leave the mask on for 10 minutes, remove it gently and then massage all the residue. This PowerFoil mask IS NOT a replacement for the Advanced Night Repair serum, it is an extra product to use in your beauty routine to give your skin that little extra. Have you ever tried out any of the Advanced Night Repair products? Or are you willing to try them out? Van het serum ben ik al jaren groot fan, echt een topper. Is ook een van de weinige producten waar ik altijd een back-up van wil hebben. De maskers heb ik nog niet geprobeerd. Enorm benieuwd naar, dat wel, maar ik vind ze wel erg duur. Dan koop ik liever een flesje ANR, denk ik.